Alpine NJ - It was out of the frying pan and into the fire for a high ranking law enforcement official who was arrested today on drug charges. 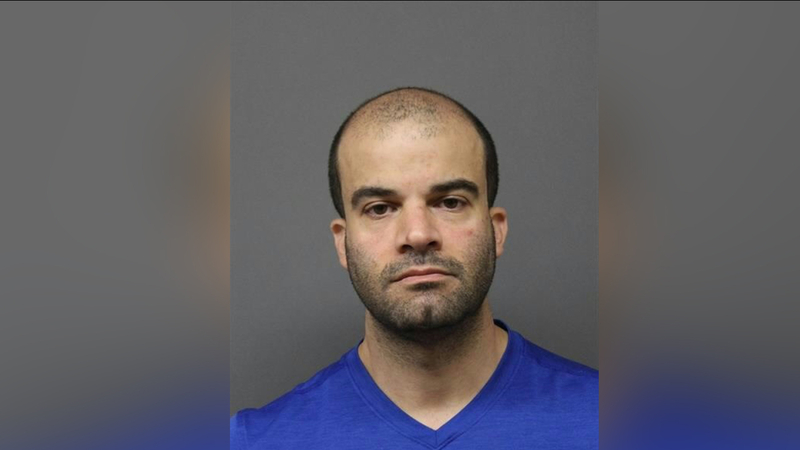 Palisades Interstate Parkway Police Department Chief Michael Coppola was apprehended on Route 80 in East Ridgefield Park and charged with attempt to possess cocaine and possession of drug paraphernalia, reported WABC News. The 43 year old Coppola had reportedly been buying cocaine online, shipping the drugs to a post office box that he was renting. After an investigation revealed a recent drug purchase by Coppola, detectives planted a bogus shipment in his post office box. He was arrested shortly after picking up the package, which he believed contained cocaine, said Acting Bergen County Prosecutor Dennis Calo. As previously reported on VIN News, Coppola was hit with a 90 day suspension last month for running incentive programs for officers who wrote out the most tickets and for failing to properly investigate and discipline officers who disregarded department policy in multiple incidents, some of which involved fatalities. Coppola and his agency had also been dogged by allegations of racial profiling and insensitivity, including some that involved members of the Jewish community. In one incident that took place two years ago, the PIPPD ticketed a Chaverim member who had stopped to help someone change a flat tire in one of the parkway’s New Jersey gas stations. In a VIN News interview, Coppola said that he was offended by allegations that his agency had treated the Chaverim member unfairly. Sources who spoke to VIN News on condition of anonymity said that parkway police would routinely pull over ambulances on emergency calls that were transporting passengers to hospitals in Manhattan and detain them. In another incident that reportedly took place several years ago, two 85 year old Chasidic Holocaust survivors were pulled over, removed from their rental car at gunpoint and roughed up by police officers an because of a mistake made by the rental agency that incorrectly flagged the car as stolen. It is time to disband this police dept. and the state police take it over. KJ, New Square and Monsey Hatzolah suffered for years with this nasty, rogue Police Dept. When transferring patients from Orange or Rockland County to Manhattan Hospitals. I know one instance when Hatzolah Ambulance was pulled over with patient in Cardiac Arrest. Ambulance was held for 5 min. and member following behind for 20 min and a summons. After that Hatzolah would go the longer way through Rt 4 and 17 to get to Manhattan. They definitely deserve such a bad ending. The NJSP and BCPD are assh*les. To #5- Why do you use such foul language on his site; you are no better than the corrupt cops, whom you are criticizing. I censored it for you.